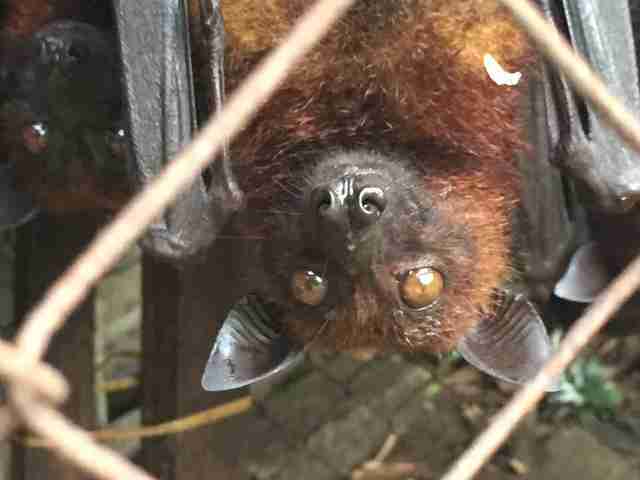 When Ian Singleton drives down a certain road in Medan, Indonesia, on the island of North Sumatra, he sees something that’s been upsetting him for years — hundreds of large flying foxes (also called fruit bats) locked up in tiny cages, sitting right next to the roadside. The bats are for sale, but they’re not being sold as pets. 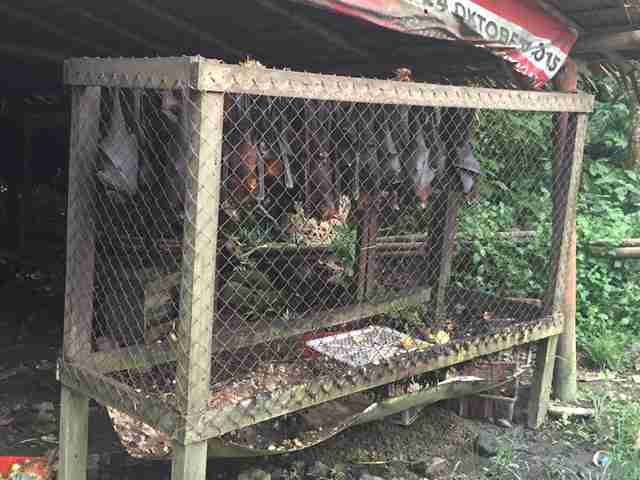 In North Sumatra, as well as other parts of Southeast Asia, people buy flying foxes for their meat, which they believe cures asthma, despite there being no scientific proof of the claim. And once the bats are purchased, they’re often killed in a horrific way. 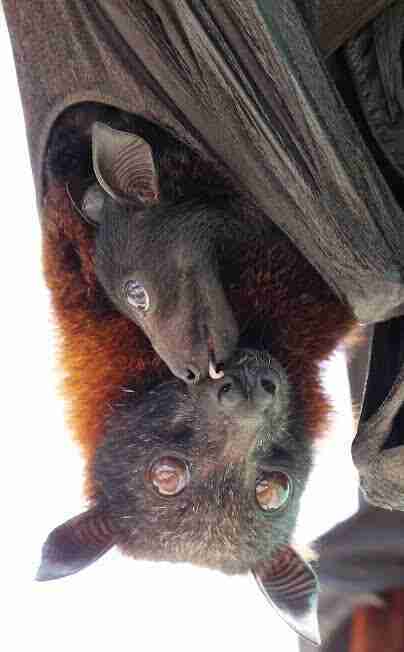 While it might be hard for some people to relate to flying foxes, Singleton describes them as highly intelligent, social animals who form strong bonds with family members and friends. 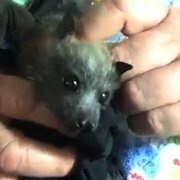 Brian Pope, director of the Lubee Bat Conservancy, a bat research and conservation center in the United States, echoes Singleton’s statements. 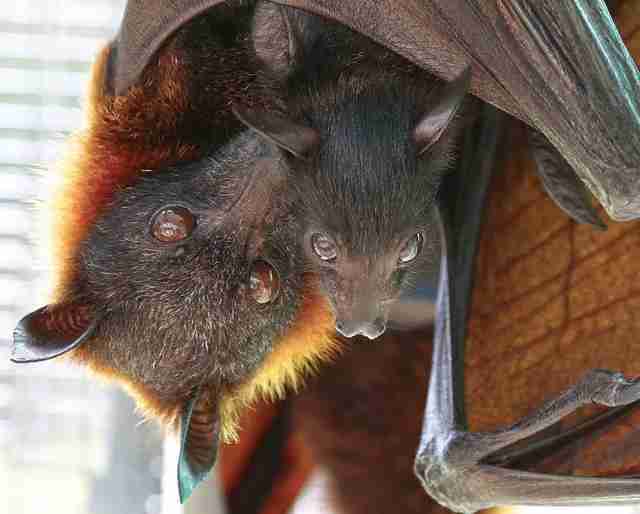 At the same time, each flying fox has a distinct personality, and it’s easy to tell individuals apart, according to Pope, who is currently caring for 70 flying foxes at the Lubee Bat Conservancy’s sanctuary. “Some of them are a bit more shy, and some are going to be right in your face, hoping you have a piece of cantaloupe for them,” Pope said. 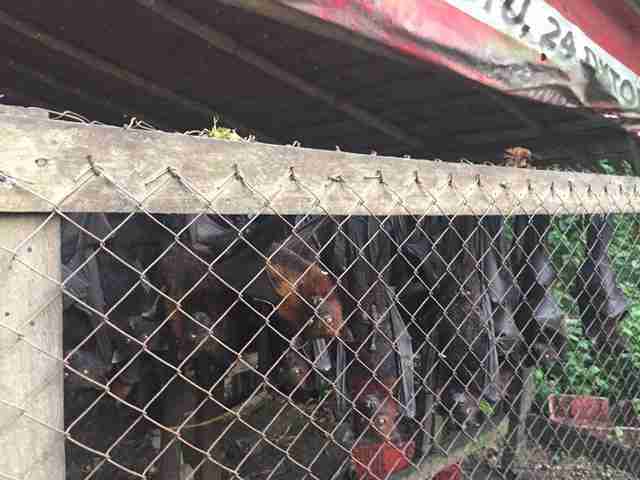 Despite the flying fox’s intelligence and close family bonds, people in North Sumatra regularly trap them with nets and transport them to Medan — one of North Sumatra’s major cities — to be sold in the markets. 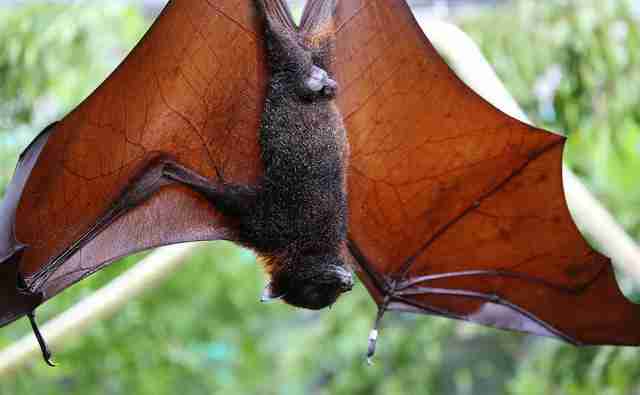 Unfortunately, many of the flying foxes don’t survive the journey from the forest to the city, which can take up to eight hours, according to Singleton. 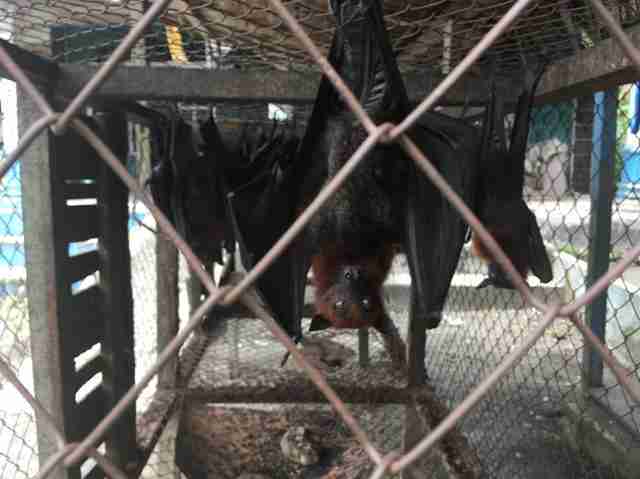 Once the bats arrive in Medan, they can spend months living inside those cramped roadside cages as they wait to be killed. And inside the cages, food and water is scarce, according to Singleton. Besides the cruelty of the bat market, fruit bats play a pivotal role in the local ecosystem because of the way they spread seeds and pollen: When bats eat native fruits, they drop the seeds around the forest, which helps more fruit trees grow. 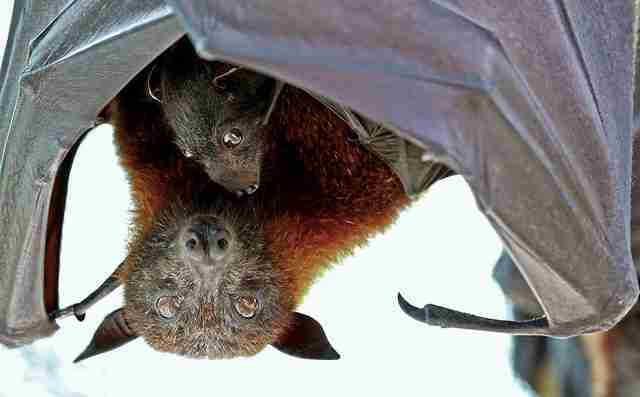 But when fruit bats are wiped out, it’s not easy for them to regenerate. Singleton, who’s lived in North Sumatra for 22 years, has seen this population decrease for himself. “The big fruit bats were always considered common, but I know that even in the time that I’ve been in Indonesia, the local populations have gone extinct,” he said. 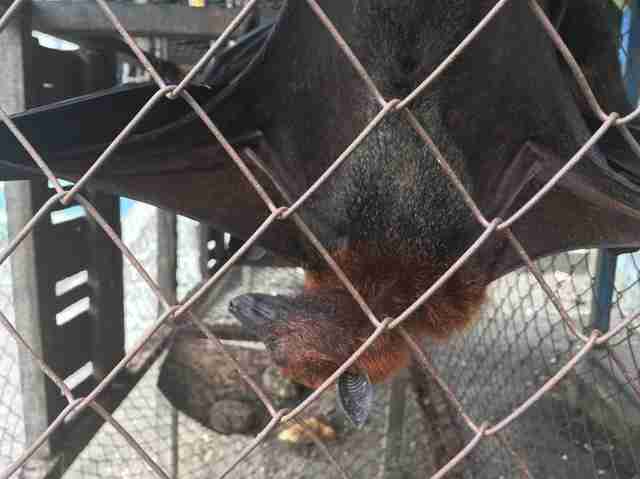 Unfortunately, very little is being done to protect fruit bats in North Sumatra. 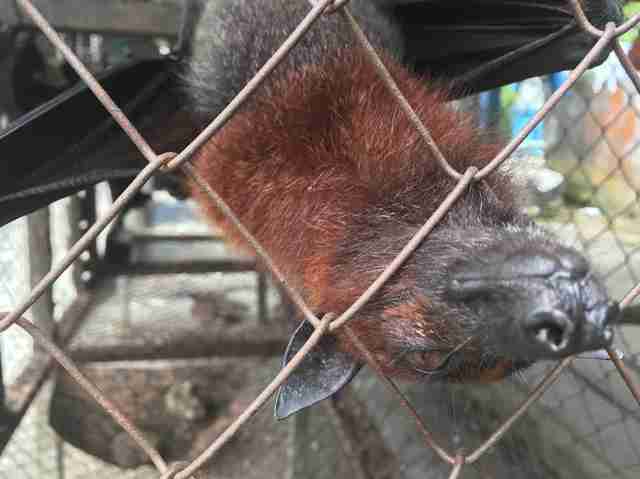 While the International Union for Conservation of Nature (IUCN) lists the species as “near threatened,” the Indonesian government isn’t giving these animals the protection they need, according to Pope, and the fruit bat trade isn’t monitored in any way. Despite the huge issues bats face in North Sumatra, people like Singleton are working hard to protect them. As the director of the Sumatran Orangutan Conservation Programme, Singleton is in the process of building a haven for eight rescued orangutans who can’t be released back into the wild due to physical injuries — and he hopes to add a spacious enclosure for rescued flying foxes. While Singleton doesn’t believe rescuing a few flying foxes will save the species, he hopes that something else will — education. 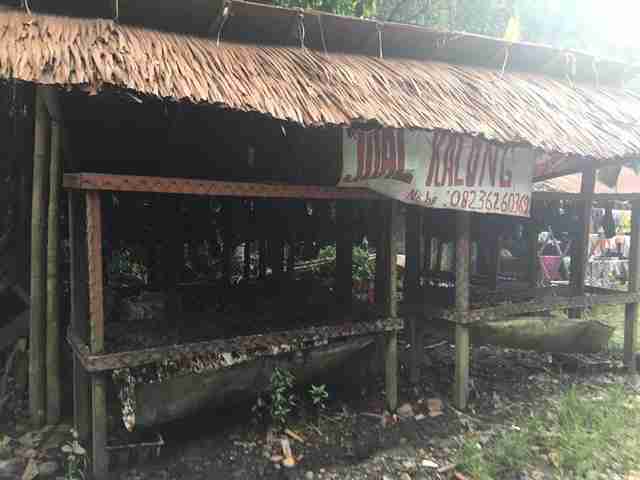 To help make this haven a reality, and protect flying foxes living in North Sumatra, you can make a donation.